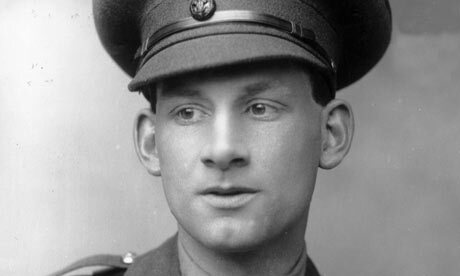 Brownhills war hero Edward Tunstall: can you help locate the lost photos please? 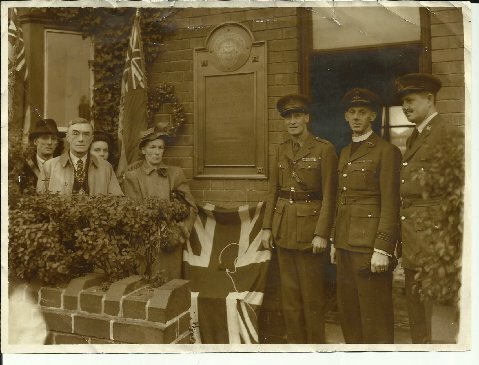 I’ve had a fascinating and very detailed enquiry come in from reader Emma Smith that I’m hoping some of the old blog hands and researchers can help with – I know that Brownhills still has a British Legion Branch (whose current appeal for the Remembrance Parade is very important) and I hope someone can hook up with them to perhaps light this enquiry up. 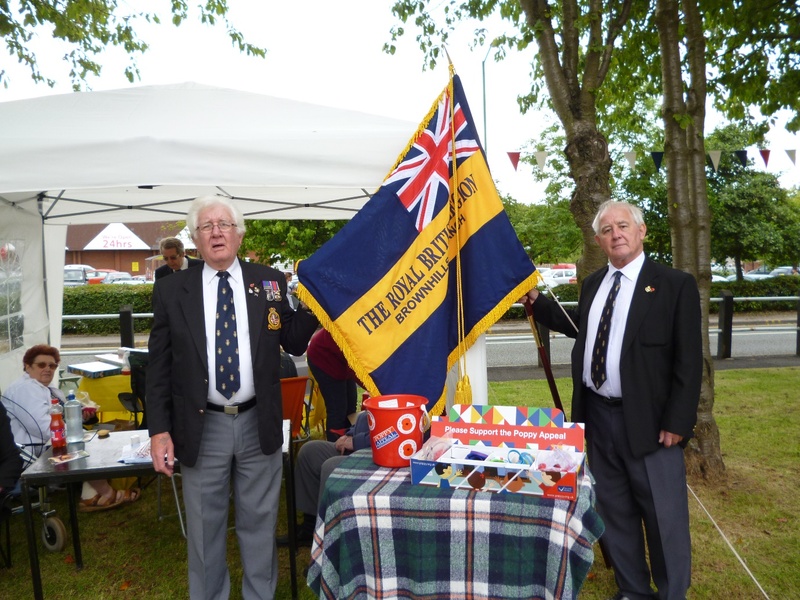 Urgent appeal: Brownhills Royal British Legion need our help! I’m not going to beat around the bush here – this is a very important issue that I’ve been vocal about for some time, and this year it’s coming to a head. 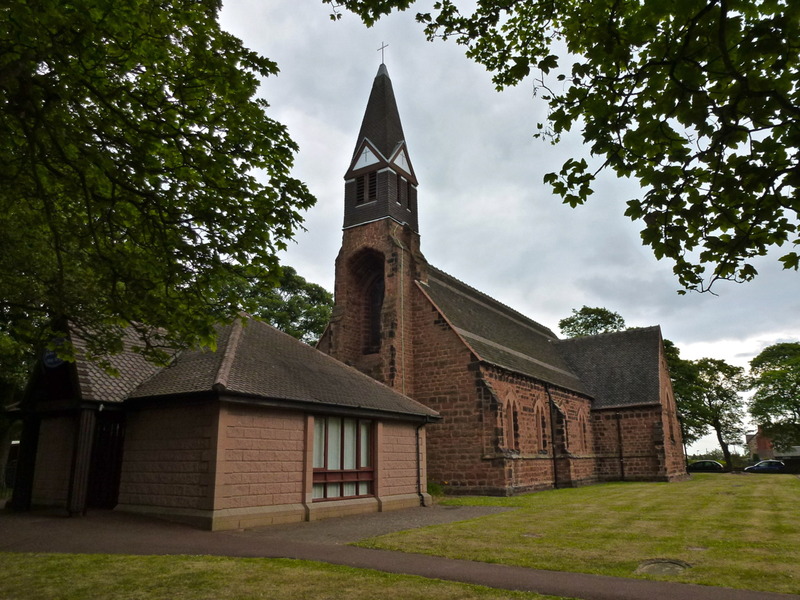 Theres a really important service taking place this Friday morning (1st July 2016), commemorating the centenary of the commencement of the Battle of the Somme – the service is being held by Brownhills British Legion at the Cenotaph at St. James Church in Brownhills at 11:00am. 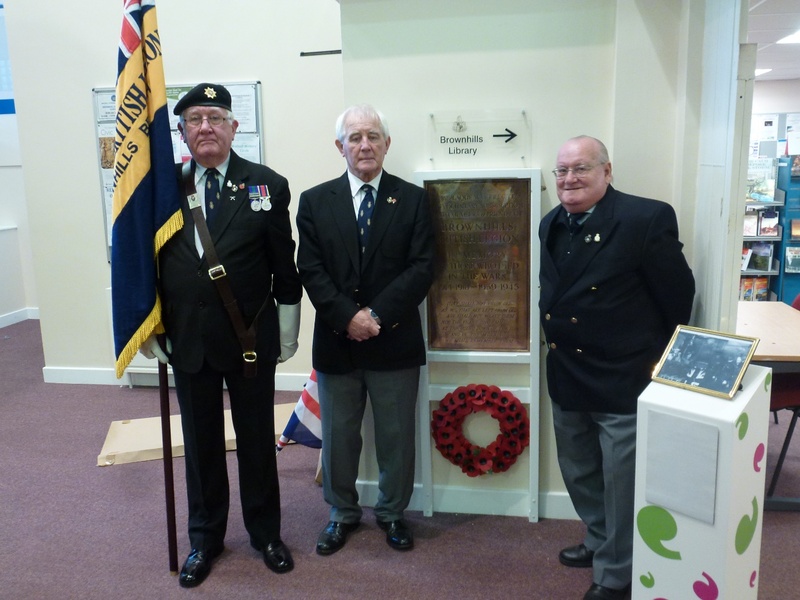 Further to the pictures from Remembrance Sunday Wendy Dance, treasurer of Brownhills Branch of the Royal British Legion has been in touch to tell us all about the RBL in Brownhills, and to thank residents of Brownhills for their extraordinary generosity regarding the annual Poppy Appeal. 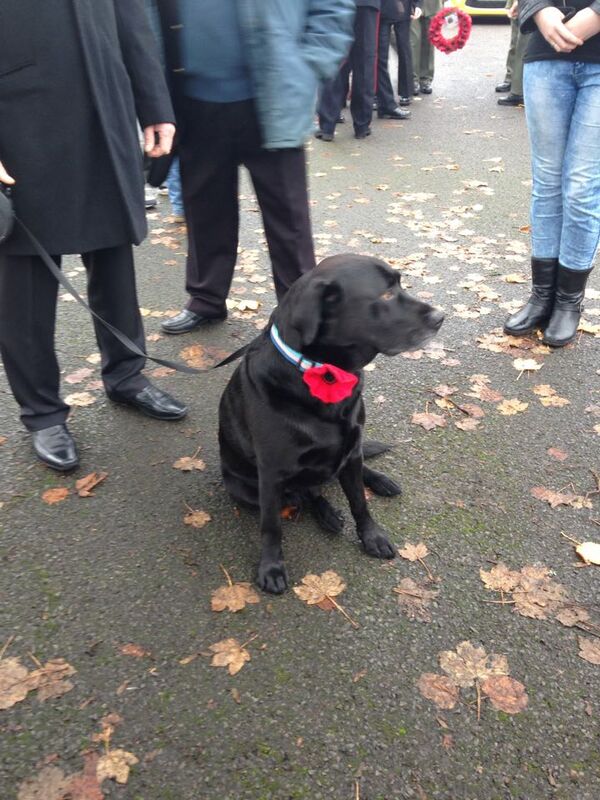 In the anger, outrage and recrimination over the plans to curtail the annual Remembrance Sunday parade in Walsall Wood which came to light last week, it’s easy to lose sight of what Remembrance is about. 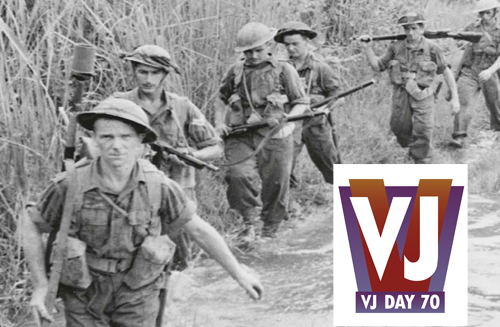 Hey people, listen up – theres a really important service taking place this Saturday morning (15th August 2015), commemorating the 70 year anniversary of VJ Day – it’s being held by Brownhills British Legion at the Cenotaph at St James in Brownhills at 11am. 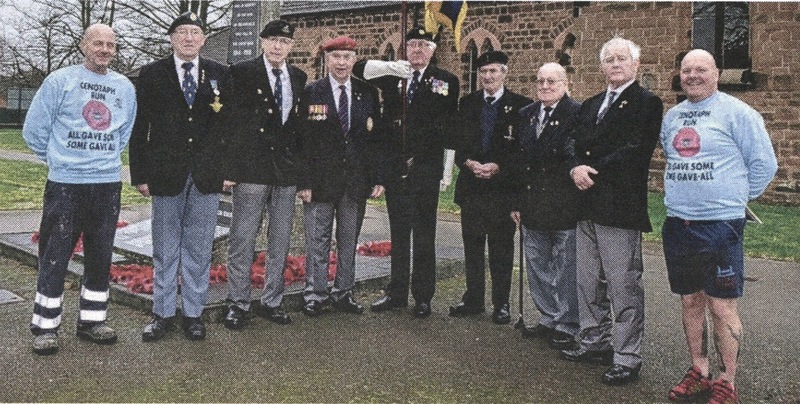 In all the fuss and bother of the election, it would be easy to overlook this essential Brownhills British Legion VE Day Commemoration taking place this Friday, 8th May at the Cenotaph in Brownhills. Pelsall Christmas Fayre this Saturday! 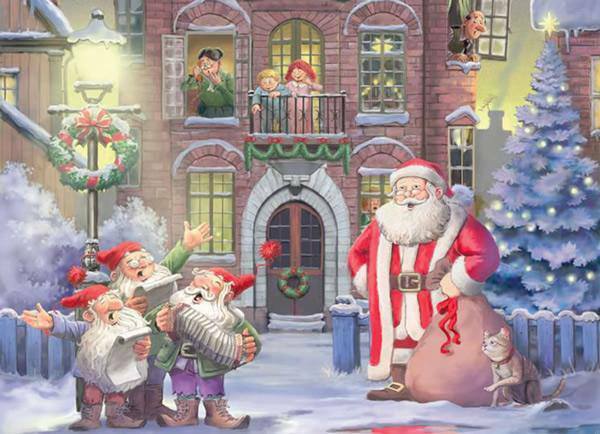 Dawn Hadley and others from Pelsall have contacted me to ask me to give a plug for the Annual Christmas Fayre in aid of the Pelsall Branch of the Royal British Legion and the Poppy Appeal. 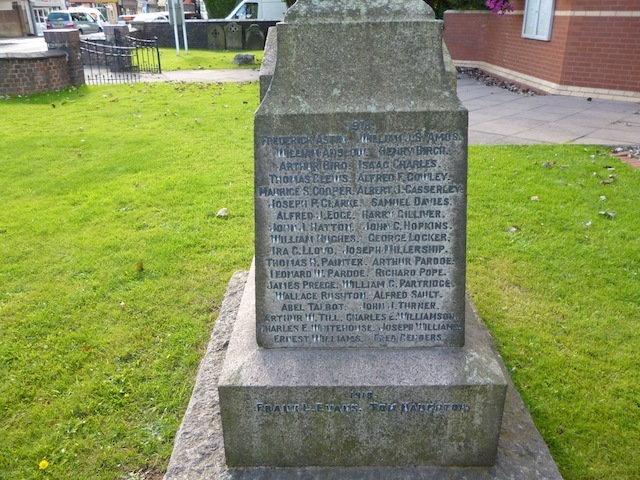 A couple of days ago I belatedly flagged up the wonderful installation and unveiling ceremony for the once misplaced, but now found British Legion memorial plague to the dead of two wars, located after local historian and top chap Bill Mayo asked for help with a photo here on the Brownhills Blog. The pride of Brownhills unveiled this Saturday! I’m a wee bit late with this (for which I apologise, things are a bit hectic of late) but here’s some great news from reader and longtime friend of the blog Martin, who writes concerning the Royal British Legion plaque that resurfaced following a photo article here on the blog last year. 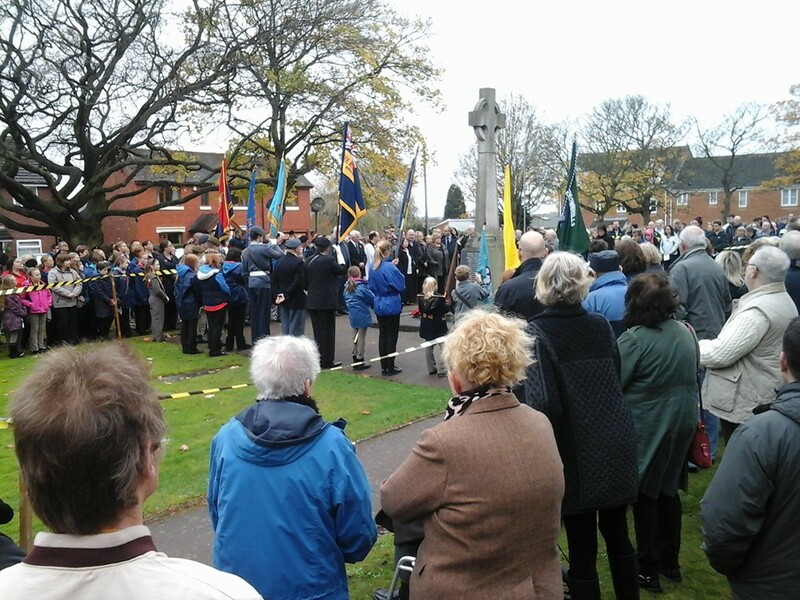 Friend of the blog and top bloke Martin Littler pointed out on Facebook yesterday, that this morning (Monday, 4th August 2014) there will be a First World War commemorative event in Brownhills. 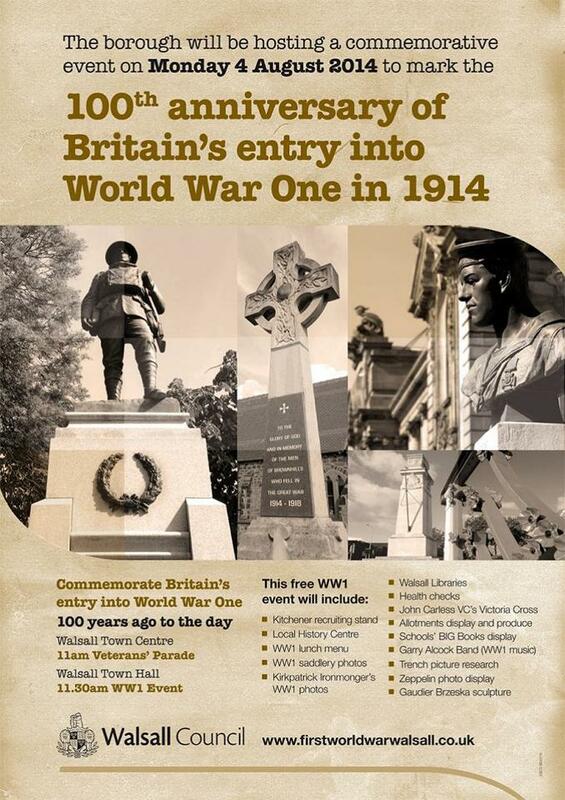 As you will no doubt be aware, it’s the centenary of our entry into World War One on Monday, 4th August 2014, and Walsall Council and other organisations in the borough have arranged some interesting, respectful and well considered events to mark the 100 years. Since it’s Remembrance weekend, I thought I’d share with you a project that top reader and contributor David Evans has been working on. 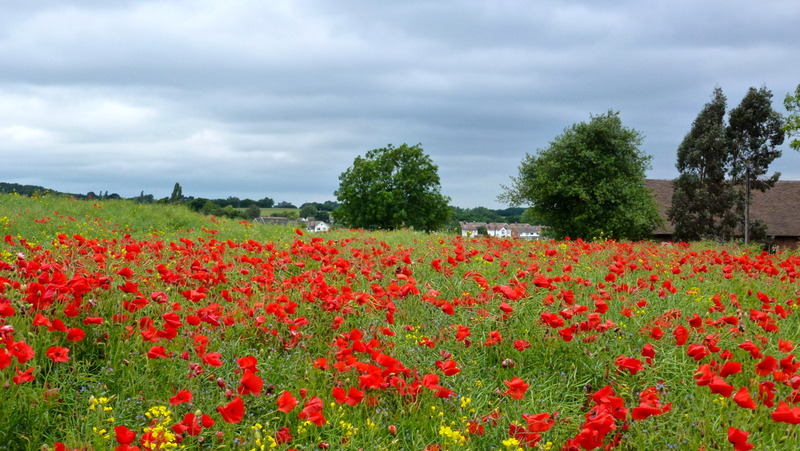 David has gone through the roll of honour for the First World War on the Walsall Wood memorial, and listed the entries, and what he can find out about them, in spreadsheet format.